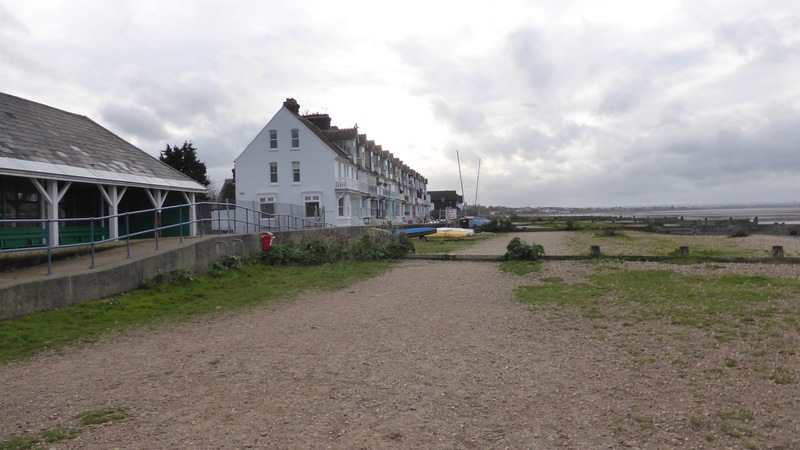 Having spent the last three Christmases on our little liner, it was high time we returned to the bosom of my family and tackled the M’s 1, 25 and 2, to spend a few days with Mum & Dad in their bungalow in Whitstable. 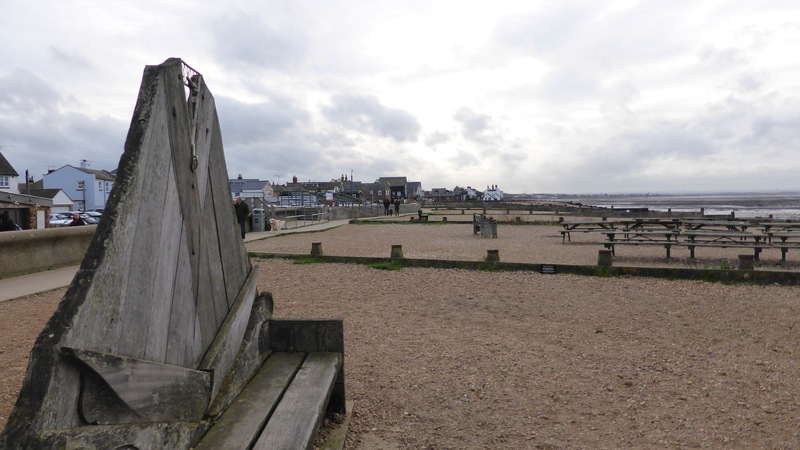 It’s always a lovely break with good food and drink plus wonderful walks with the dog, down to the beach vía Admirals Walk or along to the town. 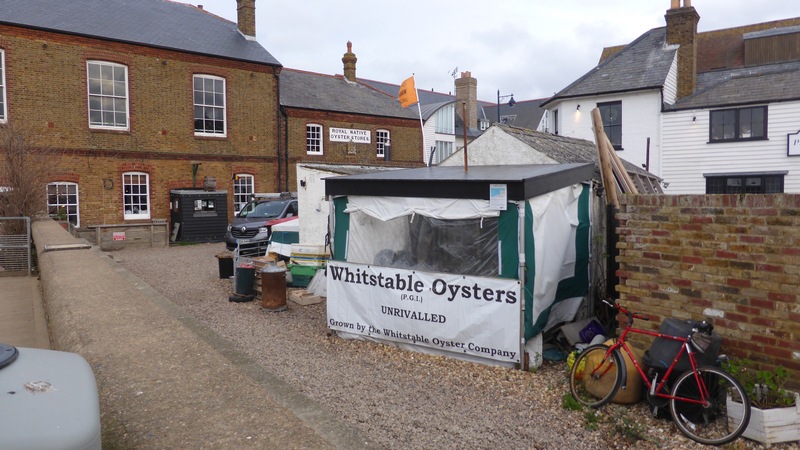 Past colourful beach huts and oyster fisheries. We did venture into Sainsbury’s but this was a living hell with long delays to get in the car park and to exit! Still, once down town, i did manage to buy some local fresh cockles. 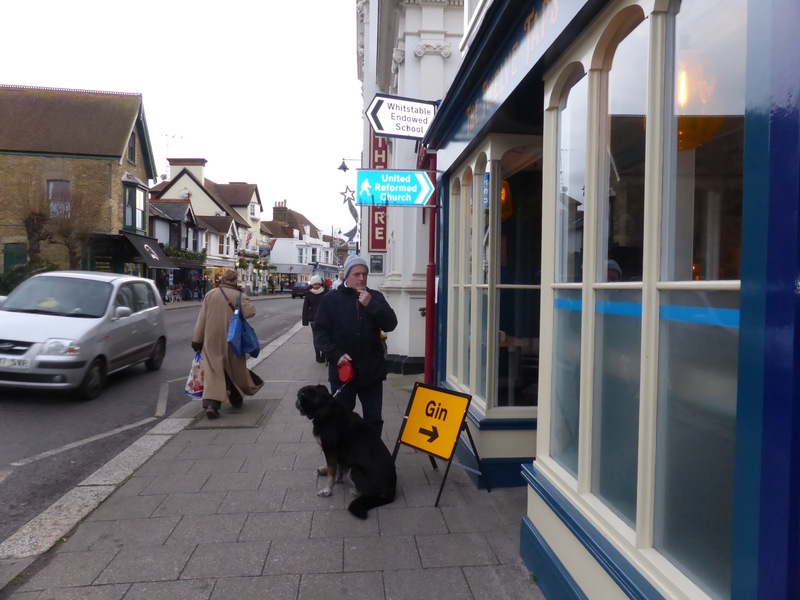 However, I was tempted by the intriguing sign . .
Viv and Toby outside the Whitstable Oyster Co. at Horsebridge. 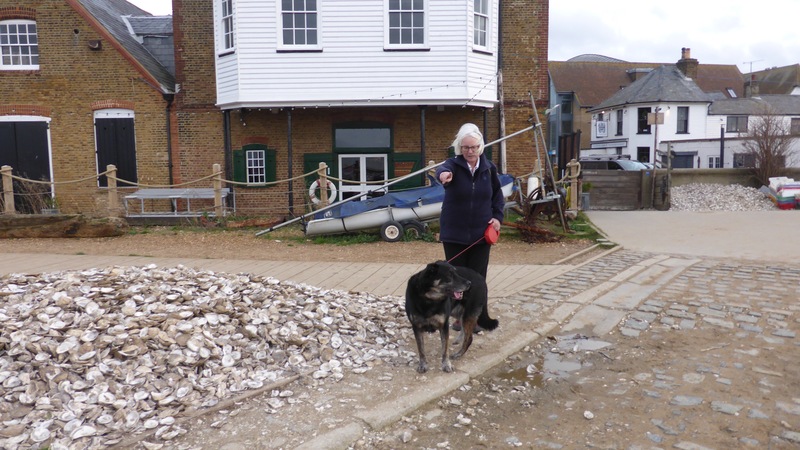 Showing all the discarded oyster shells. 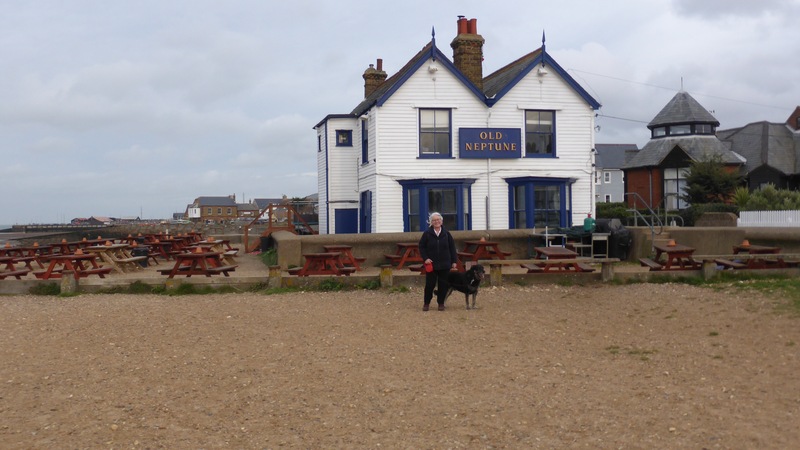 Viv and Toby outside the Old Neptune. 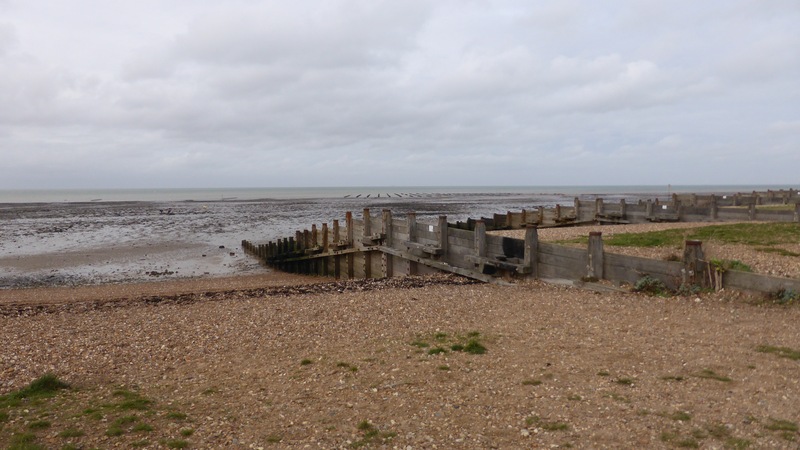 Scenes of the beaches at low, spring tide. Showing the oyster nets. 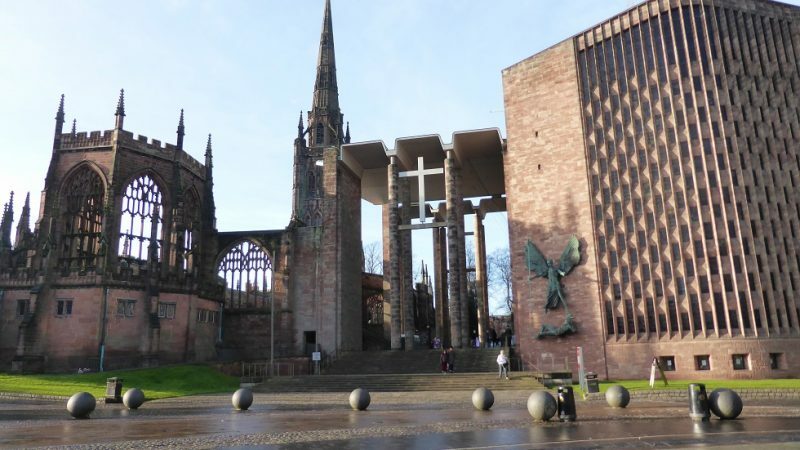 Looks like the best day of the week, so a Saga run is due and we’re off to Coventry. Never been before and it’s only 40 odd mins away. 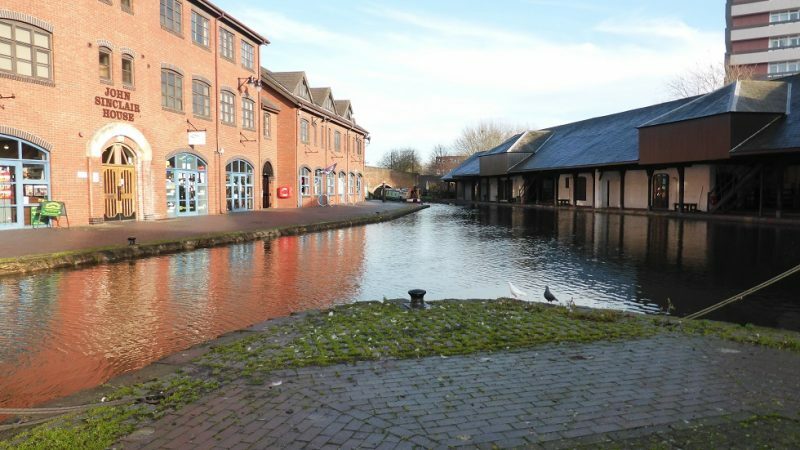 First stop – the canal basin. 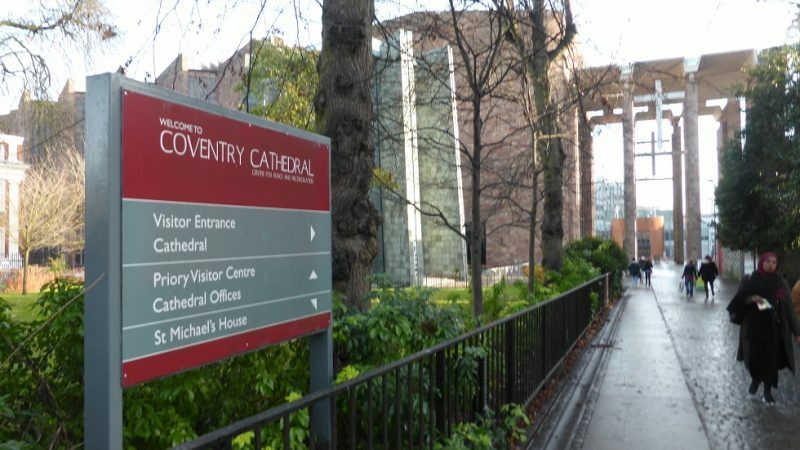 Not a brilliant place but seems plenty of room to visit. 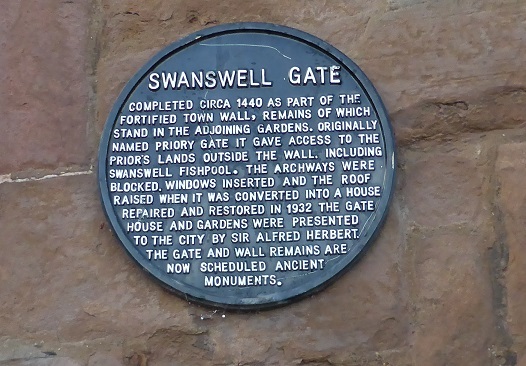 Our history is a bit rusty but we know there was a medieval city and of course, it suffered heavily in the Second World War. 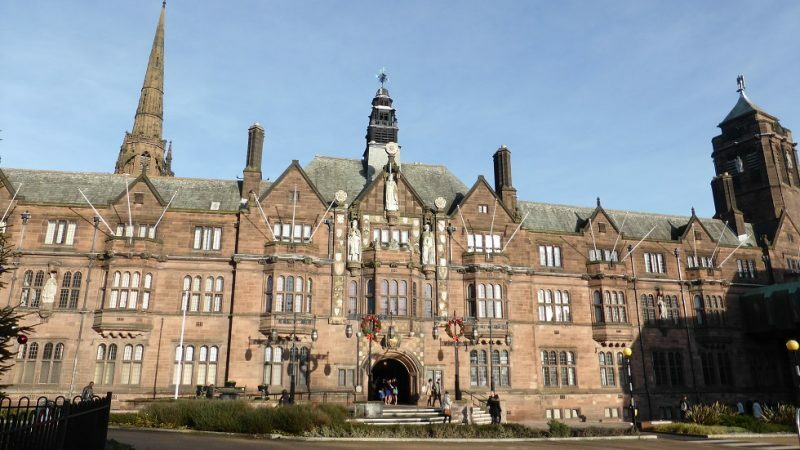 The maze of shopping malls ensnared us but we broke free and walked past the magnificent Council House with angels high up on the roof tops – were they weeping angels? Did they move? 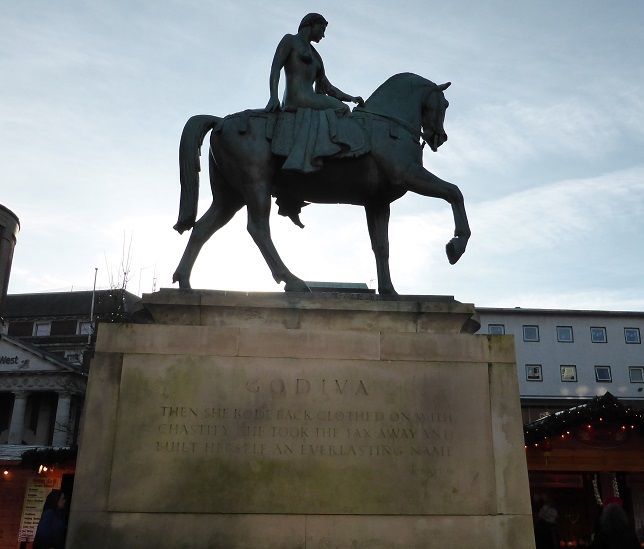 Finally, dodging all the Christmas market fayre we found our second target: Lady Godiva! 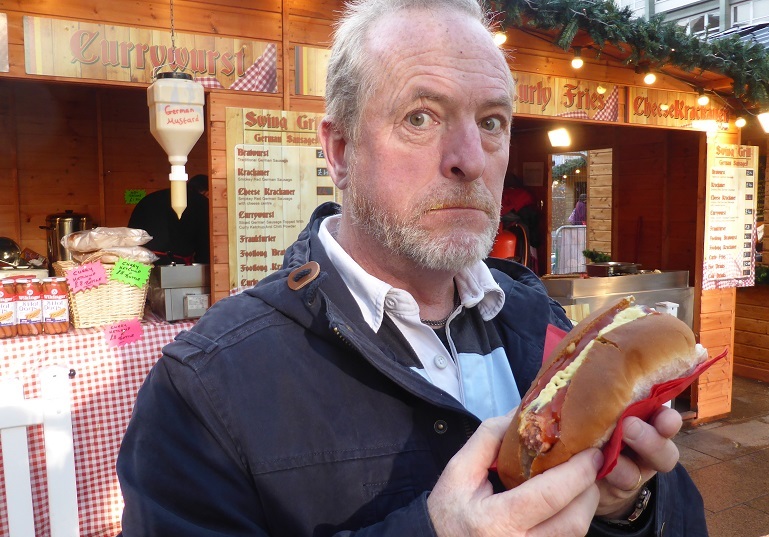 Well, not all of us dodged the markets – Steve just had to have a sausage ( a Krackhauer?)! 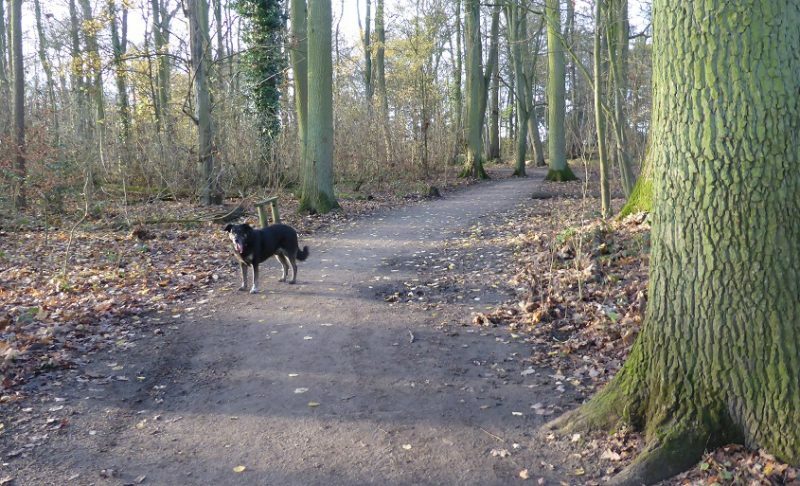 We walked our socks off – round and round. Trapped once in-between shopping malls because dogs weren’t allowed through. 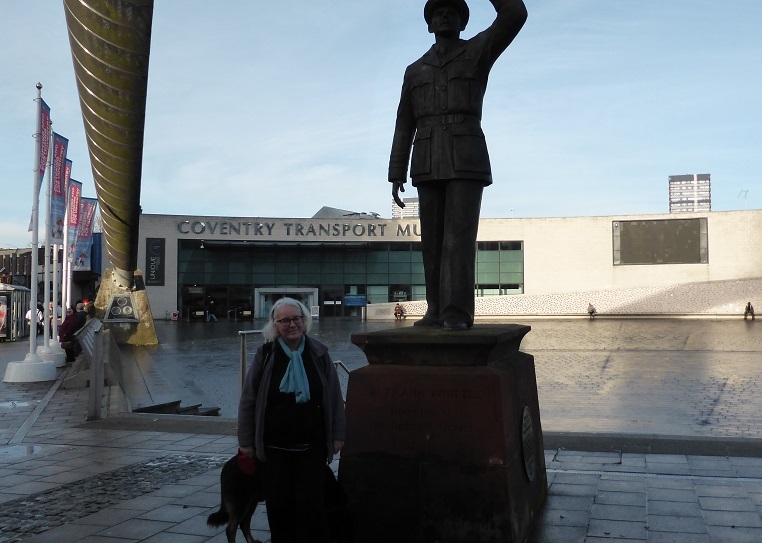 We reparked the car in the multi-storey – bad move, dog was trapped – no stairs! Help. 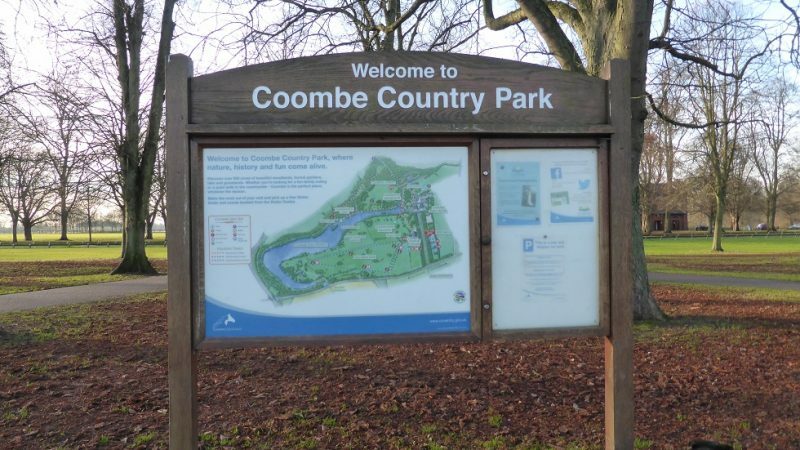 We gave up on the city centre and retreated to Coombe Country park and chance to let Toby off for a proper walk. Can’t say we were impressed with the city but will go back once Christmas is over. 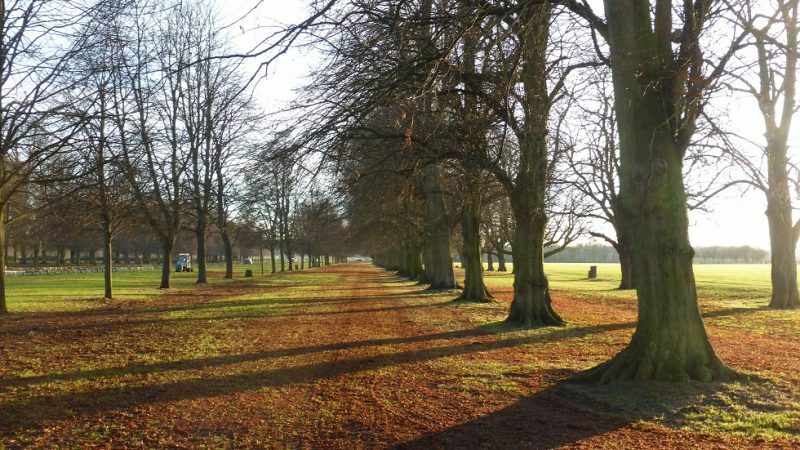 This is quite a contrast to the hustle and bustle of the city – quiet and dreamy parkland. Well laid out with dry footpaths and well marked routes. 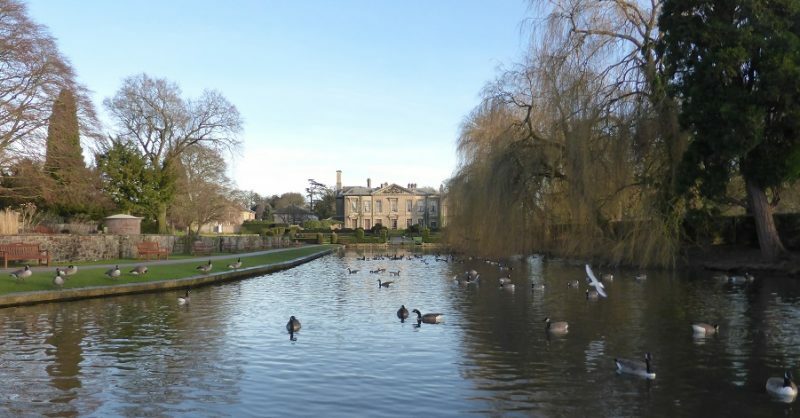 A huge lake and plenty of wildlife. The house is a big hotel – very impressive. 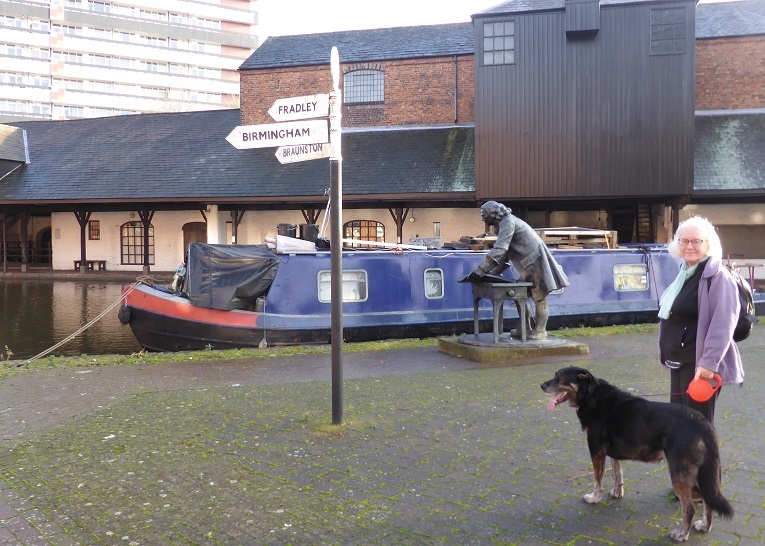 Above all, Toby was pleased and really enjoyed the walk. My FitBit gave a tally of over 20,000 steps for the day – maybe a record. 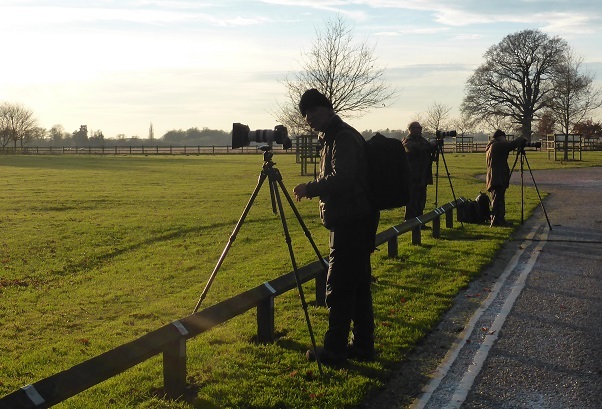 Lots of photographers turned up – nothing special – just waiting for the sun to get lower to get snaps of the tree! 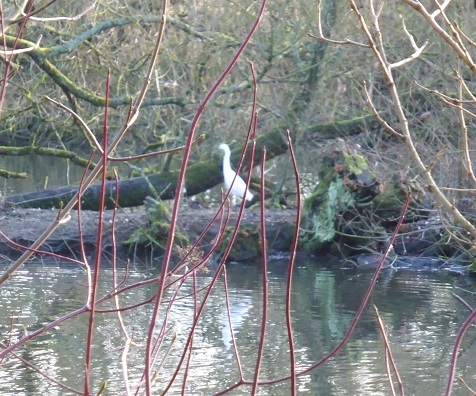 Which were well worth snapping! A grand day out and we’re totally cream crackered now but really enjoyed it. 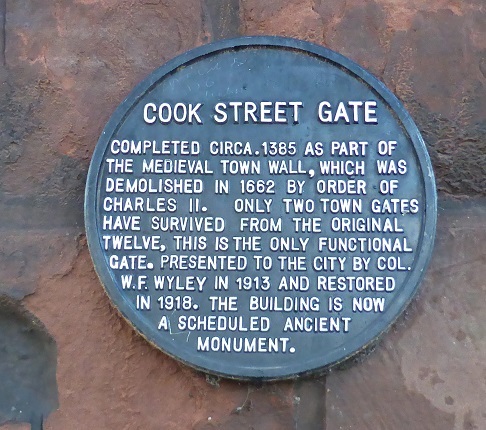 Must mug up on the history next time and the car parks too! Do you remember last Christmas? ( see http://vivatek.co.uk/its-beginning-to-look-a-lot-like ) . Illuminations everywhere? I know Len & Sue have moved on and the Anders are away but there’s just four boats with lights and that includes John & me . . . Still, we have our wee tree up with it’s blue lights, le Bear Polar is in the cratch and the usual if slightly camp, pink n purple lights are in their same place. 14th of Dec now and there’s more than 7 boats with illuminations!